Goose Bumps! 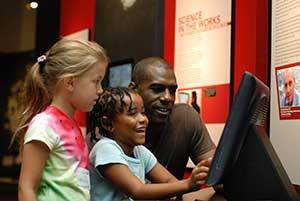 The Science of Fear is a 6,000 square foot traveling exhibition developed by the California Science Center, which provides an experiential and holistic view of fear science, examining the physiological, neurobiological and sociological aspects of fear. 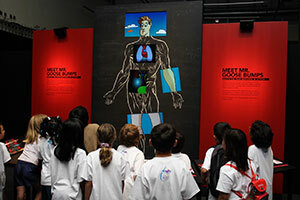 Download a teachers guide for grades K-8, to get the most out of the exhibit with your students. 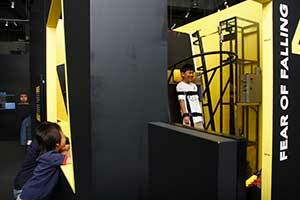 Learn about the this and other exhibits for rent from the California Science Center.